We love the idea of a green society, and we were so happy to be welcomed into this Green Society when we received a tasty sampling of Green Society’s many offerings. 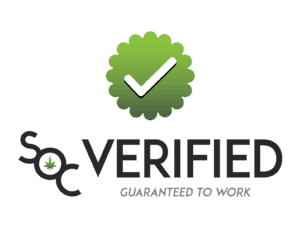 Green Society is a Canadian “grey area” online mail-order cannabis and cannabis products dispensary – available to all Canadian residents of the age of majority. 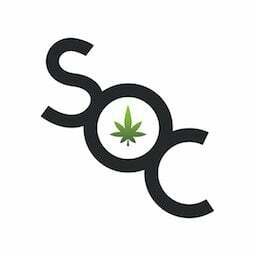 As a business, they are very proud and vocal about their mission to help people experience the medical benefits of cannabis, which we definitely appreciate. We were also immediately impressed with Green Society’s clear and modern branding, which is maintained in everything from their web design to their product packaging. Just because a product is being used medicinally doesn’t mean it shouldn’t also be stylish – in this regard, Green Society does not disappoint. They also have a very competitive mail-order offering, which we’ll touch more on later. 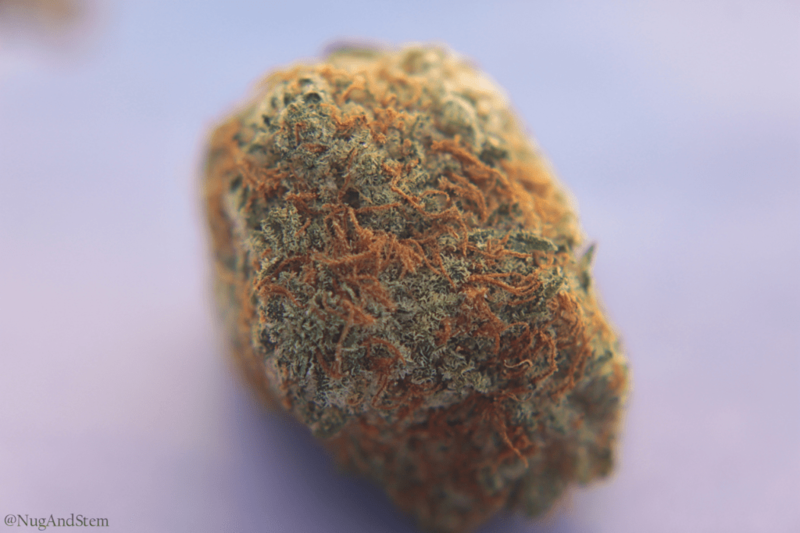 In terms of cannabis flower offerings, Green society delivers a good quantity of different strains, as well as a strong selection of unique strains. Green Society maintains 3.5g as the minimum quantity you can buy of any given strain, which might deter some people who want to sample by ordering 1g. However, this minimum shouldn’t be a deterrent, since the prices are very reasonable. For people wanting to sample in larger quantities, Green Society also offers a great option to build your own ounces at a discount by combining multiple strains in 7g increments. For our own sampling, we ordered a variety of strains including 2 sativas, 2 hybrids, and 2 indicas. All strains were ordered in 3.5g quantities, and our weight tests found that all of the orders received were accurate or even a bit over 3.5g. The flowers were all trimmed well and looked like high-quality strains. We were able to sample some unique strains that we hadn’t seen before, and they were all enjoyable to consume. Our favourite hybrid is OG Diesel Kush, with its luscious deep green nugs and plenty of dark brown pistils. 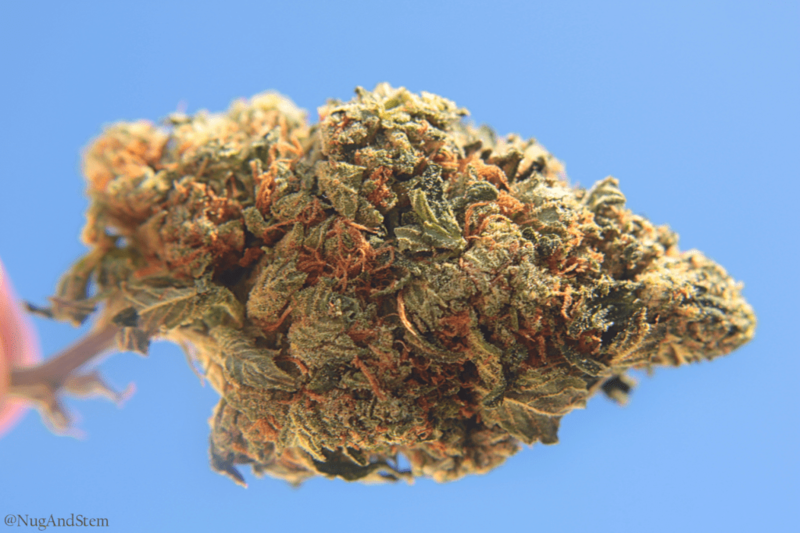 This strain has a rich scent like caramel or burnt sugar combined with diesel – a bit like an expensive garage. This strain feels very spongy, which allows the nugs to pull apart easily. When ground, the flowers release a nice diesel and grassy scent. After smoking the OG Diesel Kush, we had enough energy to cook some veggie pasta and had big appetites, but we were only able to eat a standard portion before feeling full. This effect was unexpected but great, as it allowed us to enjoy our food without overeating – which is a habit we’re trying to kick. Although this hybrid didn’t provide the longest lasting high, during the high, we both had a lot of positive energy. Nug’s Highlights: This strain provided the energy to be productive, while also providing enough relaxation to be able to go out in public without anxiety. Stem’s Highlights: This strain provided energy to do chores without being hindered by back pain; overall, this is now one of his favourite strains that he has smoked. Our favourite Green Society indica is Icewreck Kush, which we smoked in a joint alone and in a pipe with Afghani Temple Hash. This is a stunning looking strain with a light green and white colour in contrast to dark brown pistils. 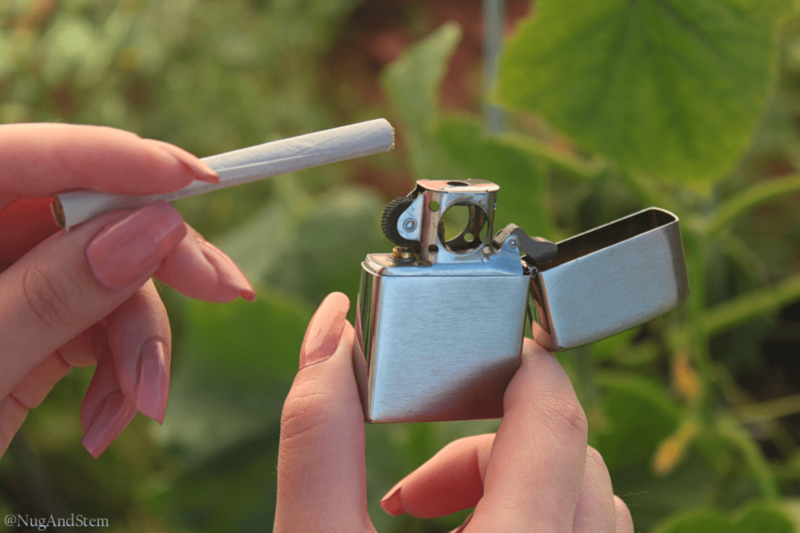 This indica, whether consumed with a joint or pipe, provides a smooth smoke with a light woody or nutty flavour. After smoking Icewreck Kush, we were both extremely relaxed and experienced general feelings of blissfulness. 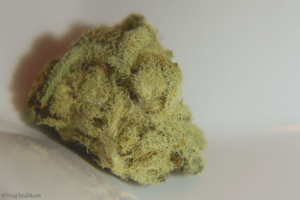 The effects of this strain last a long time, so we would recommend that you consume Icewreck Kush when you need to unwind but don’t have anything important to do or anywhere to be. Nug’s Highlights: I was very irritable and anxious before consuming this strain the first time, and after smoking, I felt so much relief; this strain helped me let go of negative feelings and gain a more zen perspective on life. My favourite of Green Society’s strains. Stem’s Highlights: This strain allowed my muscles to relax and would be great for helping me fall asleep when I am struggling with pain-related restlessness. Green Crack is our favourite sativa from Green Society. This sativa is Incredibly dense but crips; it snaps when pulled apart. The flower has tiny white trichomes and short dark orange pistils. Untouched, this strain doesn’t give off a strong scent, but when ground, it has a nice pine sap scent. When ground, we could also see the trichomes separate like fine sand, which was definitely unique and interesting. Green Crack provides a smooth smoke without coughing, but it does burn hot because of the heavy trichomes, so it can hurt the throat slightly. This strain hits hard and heavy but quickly turns cerebral and mind driving. Green Crack is a great strain for stimulating creativity or interesting conversations with friends while enjoying food together. Nug’s Highlights: Although I enjoyed how talkative and creative this strain allowed me to be in a comfortable setting at home with my partner, I realized that the high potency of the THC in this strain would mean that I should NOT consume this in a high dosage or in situations that already create anxiety for me. Stem’s Highlights: I would enjoy Green Crack in social settings, as it allowed me to forget about my pain while being very chatty and aware of everything around me in an inspiring way. 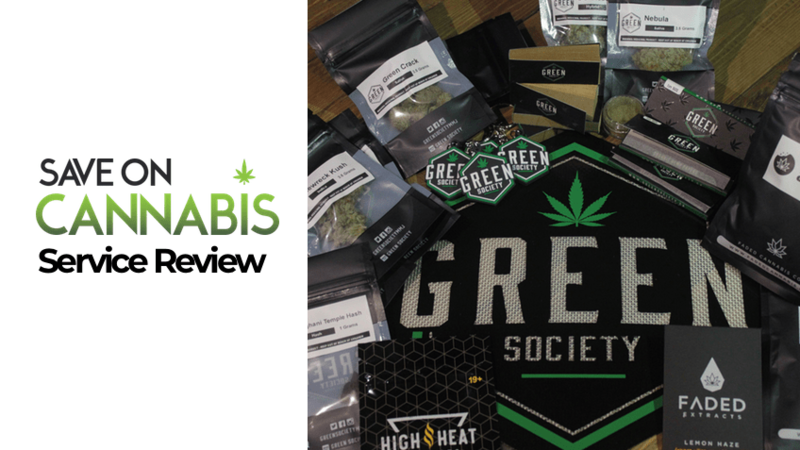 Overall, we had good experiences with Green Society’s strains and didn’t notice any real negative effects. Although there are cheaper options, in our experience, the cheaper alternatives have been cheaper for a reason. The prices for these strains do not seem overpriced and are definitely no the most expensive on the market. Green Society boasts one of the biggest selections of concentrates that we have ever seen. The pricing for concentrates is, again, very reasonable. Green Society also has a large selection of reasonably priced edibles. We ordered 2 shatters, 1 kief, 1 hash, and 2 similar edibles. We sadly do not yet have the proper equipment to dab the shatter, but we wanted to look at the products anyway. We decided to use them in combination with our favourite strains of the bunch to see if they would improve the experience. Stem smoked the Faded Lemon Haze Shatter with OG Diesel Kush. The shatter was waxy and stuck to the parchment paper, but provided a smooth smoke even on big hits. Stem expected the same uplifting body high from OG Diesel with some added energy from the shatter, and the combination did not disappoint. This combination created a lot of positive energy and productivity to get work done late at night. 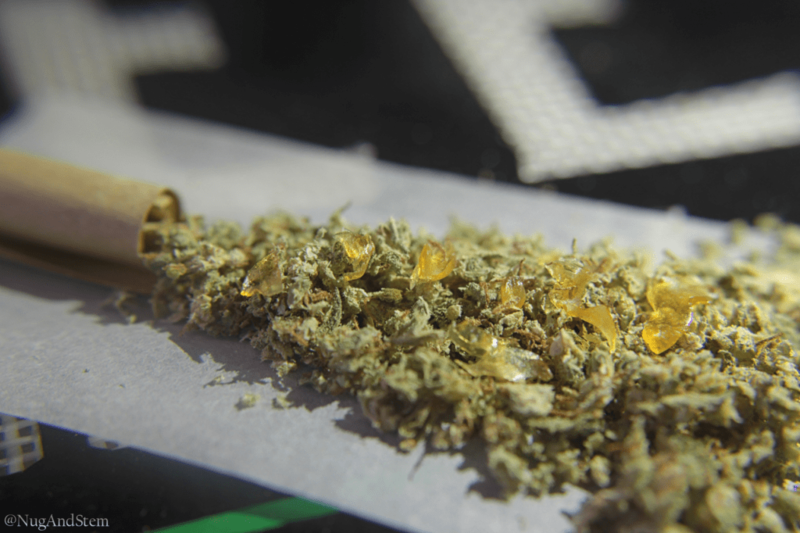 Stem combined this shatter with Nebula in a hand-rolled joint using Green Society filters and papers. The Green Crack Shatter added a bit of heat to the burn and provided a delicious fruity taste. 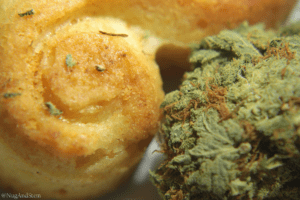 This combination created an uplifting and happy high but did not over stimulate appetite, which is great if you’re looking to consume cannabis while maintaining any sort of diet. This combination was also great for an afternoon nap. We tried Green Society’s Sour Sucker and Cherry Bomb edibles from Faded Cannabis Co. They contain 18.5mg per piece, which is great potency. 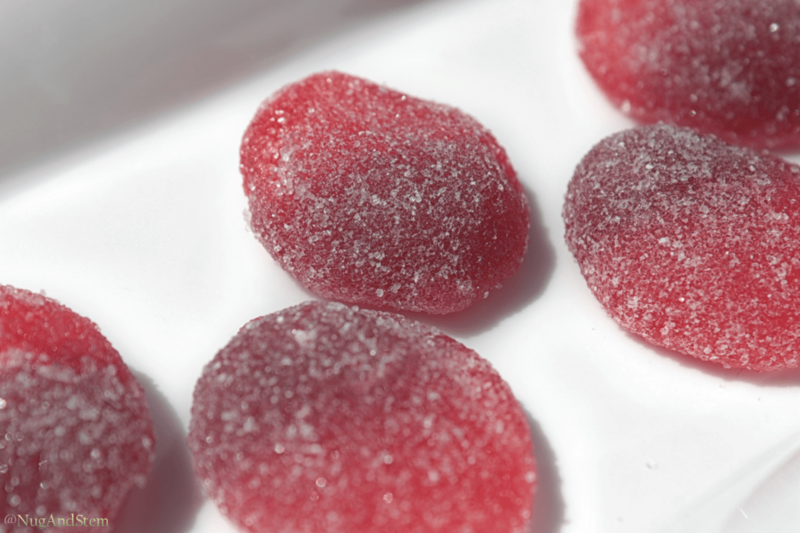 While they are on the pricier side of edibles, the gummies are amazing. They look better than the real candy, have a great texture, and don’t melt, so they can be easily split to take a smaller dose. What’s amazing about these Faded edibles (but also potentially dangerous) is that they do not smell or taste like cannabis – expect for a mild bitter aftertaste. 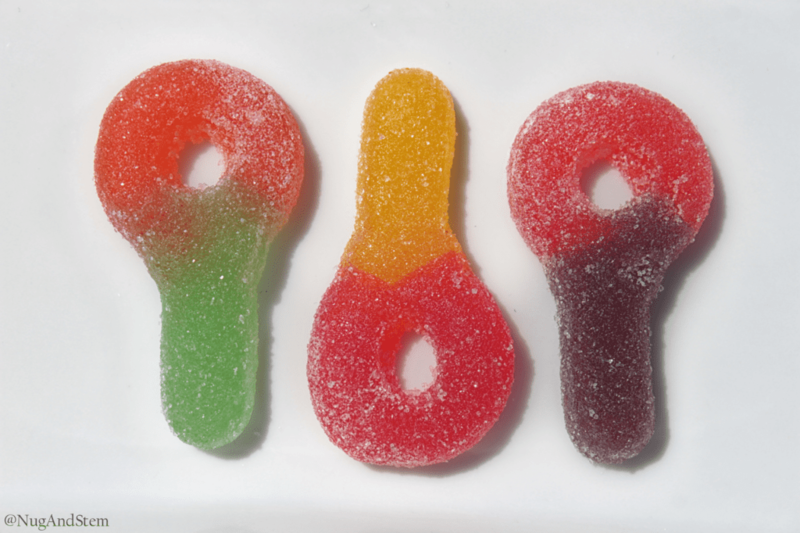 These are great for being discrete and for enjoying the experience of a regular gummy, but do be careful about where you leave these bad boys. The effects from these Faded Edibles hit quite quickly for an edible. Faded advertises that the full effects will not hit until an hour after consumption, but we definitely felt the full effects within twenty minutes. While the edibles did provide positive feelings and helped us to fall asleep, these edibles did not produce any major psychoactive effects. The effects also did not last as long as we had expected. Nug’s highs and lows: I tend to have more negative, paranoid reactions to edibles, but I have had nothing but positive experiences with the Faded gummy edibles, so they are quickly becoming my favourite go-to edibles. The one fault I can find with these is that the bitter aftertaste does bother me, but this can be easily fixed by eating or drinking something after. Stem’s highs and lows: The Faded gummy edibles look and taste better than most edibles I’ve tried, but I was frustrated that they do not list whether they are a sativa or indica. Based on how easily they allowed us to sleep though, I assume they are an indica. 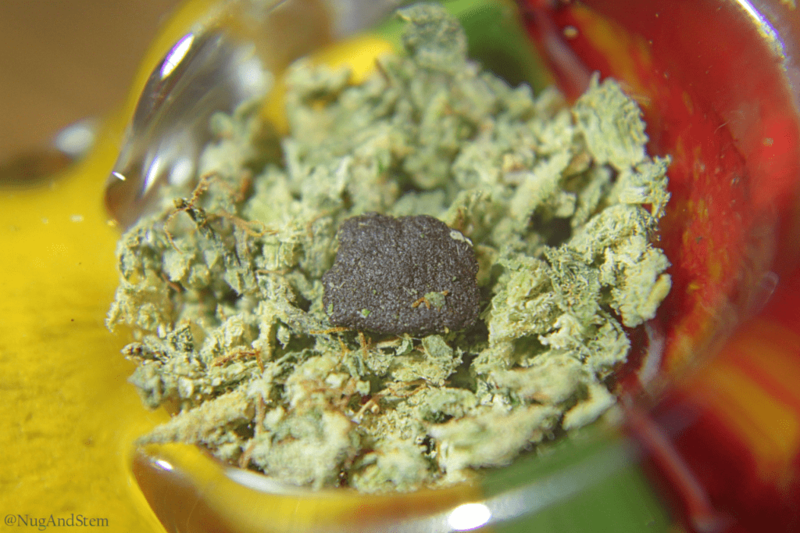 We did order some BC Rockstar Kief and Afghani Temple Hash, which we added to pipe bowls. We found the experiences enjoyable, and the kief and hash complimented the strains well – Nebula with BC Rockstar Kief and Icewreck Kush with Afghani Temple Hash. 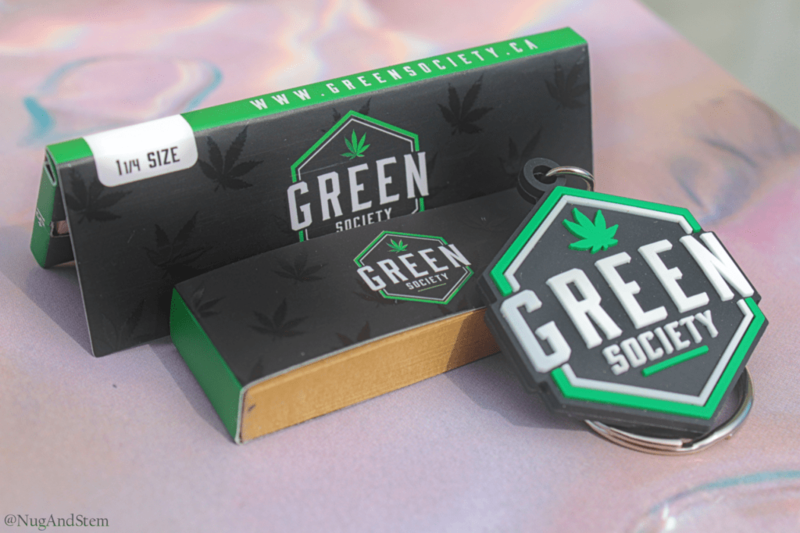 Green Society is a strong and proud brand, and they have clearly invested well into promoting their brand with their accessories. The accessories are reasonably priced and are not only good quality but in the case of the filters, are some of the best in their class. 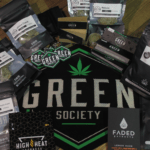 We ordered Green Society’s filters, papers, dab mat, and key chains. Green Society’s filters are definitely our favourite accessory. It was love at first site. They are made from quality cardstock with the perfect width; the smaller first perforation is excellent. However, not all of the filters are perfectly perforated, so we would recommend that Green Society improve their tooling because the design is amazing. 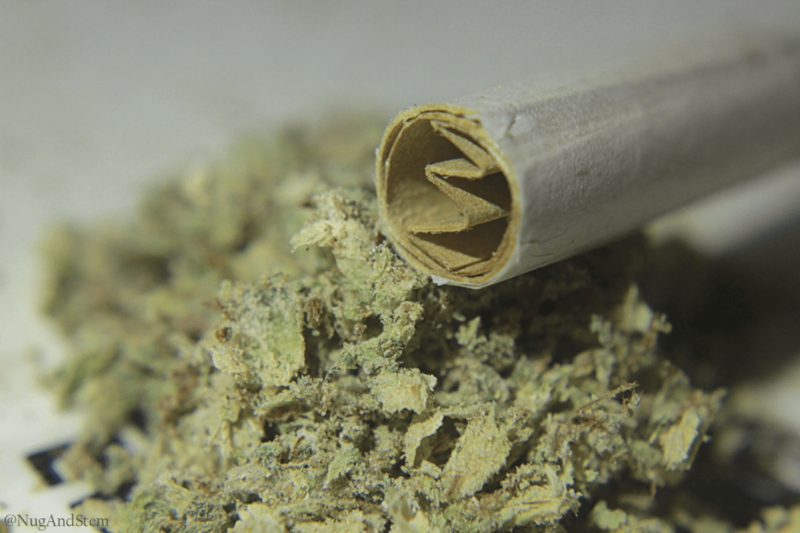 The filters don’t ever collapse when smoked, even on longer sessions. We will definitely be re-ordering these filters for the foreseeable future. Green Society’s website is consistent with their brand and logo, which is very stylish. The site offers some great promotions, like a $10 Sign Up in points and a great loyalty program that equates to 1 point per $1 spent. 25 points saves you $1! We recommend checking out their FAQ page if you’re a beginner user since it is clear and very informative. The weakest feature of Green Society’s site is that they don’t have a lot of reviews, but this makes sense since they are a newer company. We love that the site has a section dedicated to CBD, but we would love this even more if there were more CBD products – including some topical products! A Tip from Stem: If you are searching the site from Google, you may get rerouted to ad pages if you try to click on their website link. Instead, click on the “Shop” link on the Google results. Our package was shipped by Canada Post Xpresspost – from the West Coast to East Coast and arrived in 4 business days. That is not the fastest we have received packages from similar locations, but they shipped by Xpresspost, so it could mean Canada Post was slow. We put no blame on Green Society, as they prepared the package fast. The order did include a tracking number, which is always helpful. The packaging quality was excellent; they used Canada Post’s standard Xpresspost packaging as the outer layer. This is ideal because it is very discrete; nosy neighbours and curious mail handlers will have no clue that your goodies are inside. The second layer was a rigid cardboard box. This was perfect as it meant the products inside would be well protected. The products inside the cardboard box were contained within a vacuum sealed plastic bag. The products themselves were very tightly contained within the bag, but the bag had a little bit of wiggle room in the box, and that did not seem to cause any issues on its journey across Canada. The early August head did not negatively affect the edibles, but it did affect the faded shatter which turned a bit waxy. Unfortunately, there was no real thermal insulation to prevent this. Green Society is definitely a quality service. Any small issues are fixable, and as long as the company continues to be passionate about helping their customers, they will only get better. It is worth trying, especially if you are new to mail-order service. With their wide catalogue of products, you are likely to find something that will meet your specific needs. No matter what; their custom branded accessories awesome! To generalize the entire Green Society experience, we will judge the service from 0-100 below.